Dr. Michael McMahon is a Regis High School graduate. He completed his pre-chiropractic training at UW Lacrosse and graduated from Palmer College of Chiropractic in 1980. He started his chiropractic practice in January of 1981 here in Eau Claire, Wisconsin. Completing advanced training in radiography, Logan basic methods, and advanced training in sports injuries, Dr. McMahon holds certification as a sports practitioner from Northwestern Chiropractic College and the American Chiropractic Association. Dr. McMahon has completed advanced training in orthopedics through Northwestern Chiropractic College and has been used as an expert witness for numerous personal injury cases. Dr. McMahon serves as an extension faculty member for Palmer College of Chiropractic and Northwestern College of Chiropractic in their preceptor programs. He is proud to be a career-long member of the Wisconsin Chiropractic Association serving in all district offices as well as being elected to the WCA board of directors for 17 years. In addition to his board service, he was elected to two terms as president of the Wisconsin Chiropractic Association. Dr. McMahon has taught in the chiropractic assistant training program for the Wisconsin Chiropractic Association. He has served on his church pastoral and finance counsels, and the YMCA board of directors. He has also been the team doctor for the Regis football team. He also serves as a mentor to the UWEC-Kinesiology majors. He offers an internship to those students wanting to continue their education in chiropractic. A career-long goal of his was realized in 2001 with the relocation of the facility to our current location. He is proud to be a part of a state-of-the-art clinic that combines the practices of chiropractic and physical therapy to enhance the overall well-being of our patients. In 2007 Dr. McMahon was recognized by his peers as Chiropractor of the Year for the state of Wisconsin. Dr. McMahon is married to his wife Peggy and they have three children-Molly, Patrick, and Lauren. He enjoys spending time with his family at his cabin on Shell Lake along with playing golf, paddleball at the YMCA, and hunting. Dr. Curtis Black is a native of Eau Claire. He graduated from Regis High School and attended UWEC prior to enrolling in Chiropractic College. Dr. Black graduated from Palmer College of Chiropractic in 1989 as Valedictorian of his class. He began practice at McMahon Chiropractic & Physical Therapy in 1989. He has advanced training in the treatment of auto accident-related injuries and is certified in chiropractic spinal trauma by the International Chiropractic Association. In 2008 Dr. Black completed a three-year course in neurology and became board-certified by the International Board of Chiropractic Neurologists. He has presented seminars, in conjunction with a prominent law firm, for other Doctors of Chiropractic on how to testify as an expert witness in personal injury cases. Dr. Black has been a member of the Wisconsin Chiropractic Association since 1989 and has served as district Vice President and Secretary/Treasurer. Dr. Black is a member of the Noon Exchange Club where he has served on the board of directors and as chairman of the Youth Committee. He was elected Exchangite of the year in 1995. He is a volunteer for United Cerebral Palsy and served on the board of directors for twelve years. He also served as UCP Board President for two years. He currently serves on the board of directors for the United Cerebral Palsy Foundation. He has also served on the Board of Directors for the Chippewa Valley Theatre Guild. Dr. Black and his wife Barbara, have eight children. As a family, they are active in 4-H and several local homeschooling groups. In his free time, Dr. Black likes to spend time with his family, travel, bike ride, cook, and read. 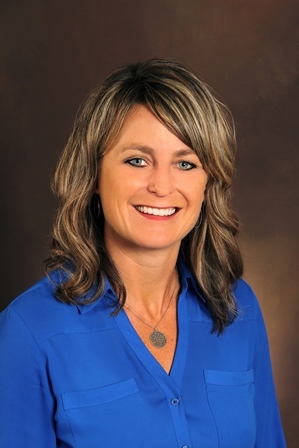 Julie Prasher PT, CSCS, joined our team at McMahon Chiropractic & Physical Therapy in November of 1999. She earned her physical therapy degree from UW-Madison in 1995 and is licensed in the state of Wisconsin. Julie has completed postgraduate courses in the areas of spine care and extremity rehabilitation as well as in lymphedema management techniques. She also became certified as a Strength and Conditioning Specialist in October 2000.